For Reykjavik discover the remote volcanic island of Iceland with mindblowing landscapes and fascinating culture and history. 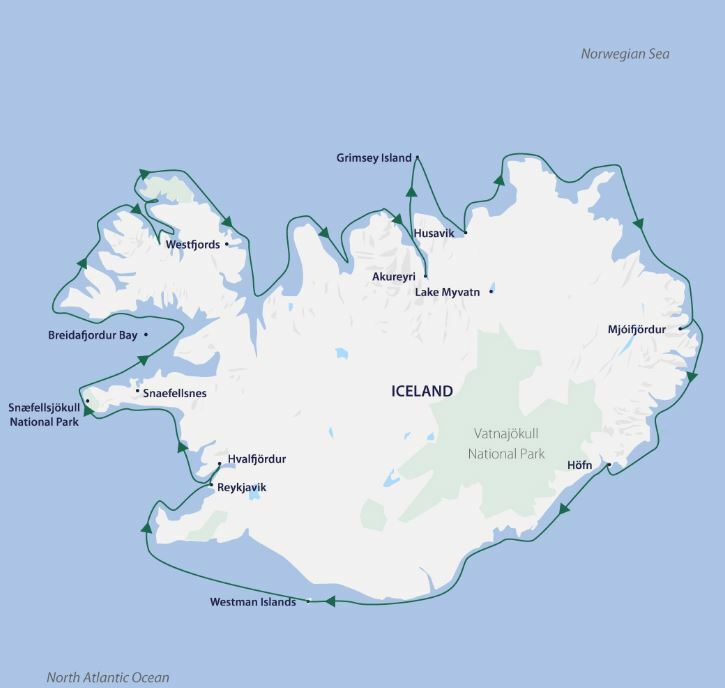 With splendid birdlife, countless deep fjords and glaciers to explore, a circumnavigation of Iceland is an experience not to be missed. Embark aboard the Greg Mortimer ship for an adventure of a lifetime with Aurora Expeditions. * Term and conditions apply – please speak to your Phil Hoffmann Travel Consultant for more information. Prices subject to change with availability and prevailing exchange rates. form and non-refundable deposit of $2,500 pp in the booking currency is required within 7 days of reserved berth/s.Please visit www.auroraexpeditions.com.au/find-out-more/terms-and-conditions for full terms and conditions.